Home Tour Tuesdays is Live again (although late this week). 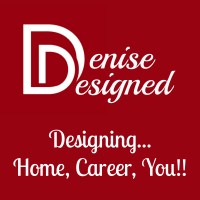 I am hoping to share more of my home, but also feature other bloggers homes and homes around the Houston area. 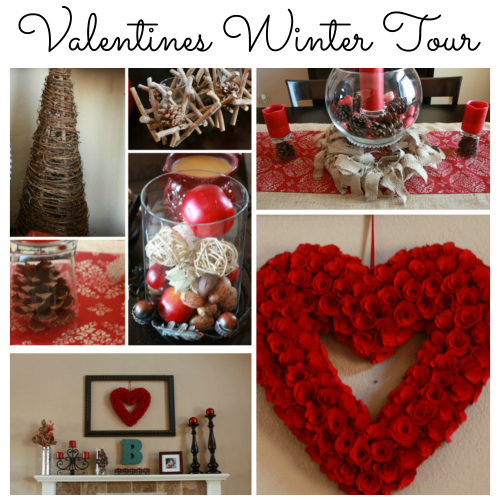 Visit My Valentines and Winter Home Tour. 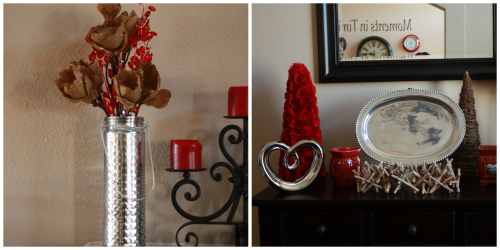 Yes…you heard that right…Valentines and Winter Decor. Why not? There are no rules. 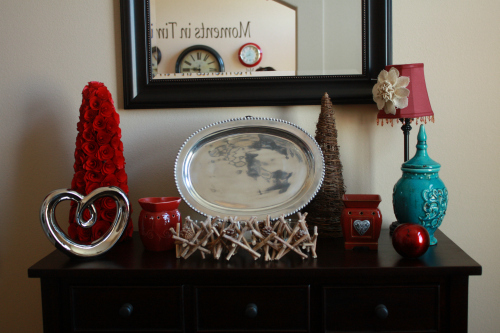 I still had some Christmas decor that could fit the Winter Theme that I could take advantage of and still admire. Have you ever decorated for either? This is my first go around for both, but specifically Valentines. 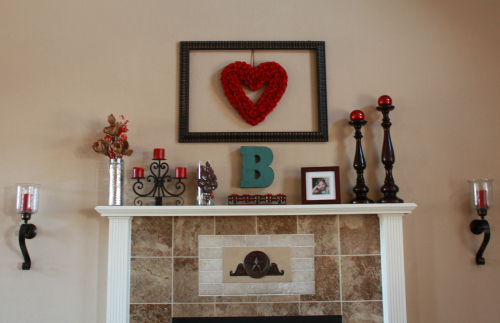 For my mantel, I put my frame back up, that usually surrounds my family picture, and hung a heart wreath. It is made of wood chips. I would love to say I created it myself, but I did not. 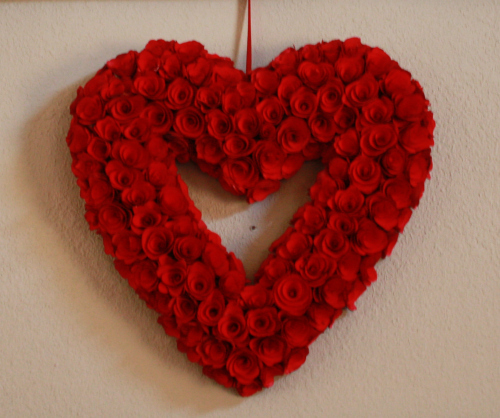 For my wall design in the dining room, I used the Burlap Canvases again and replaced the Christmas wreaths with these Heart Wreaths. 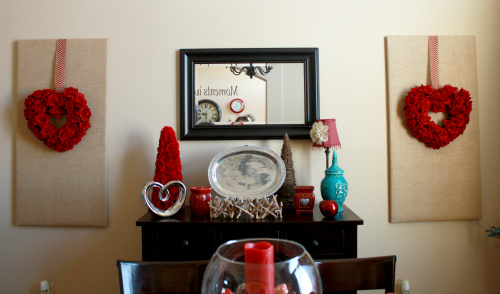 Here is a tutorial on how to create your own Canvas Burlap Wreath Wall Designs. 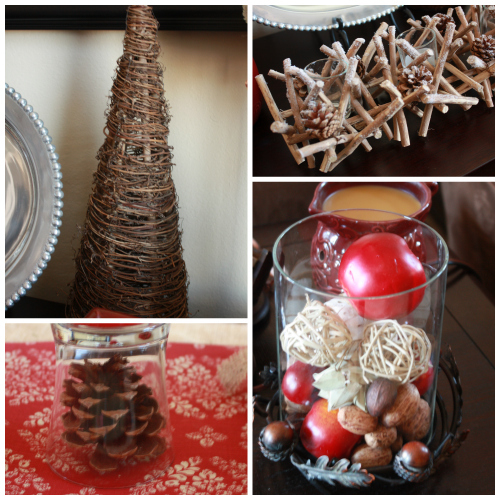 For my Burlap Table Runner overlay, I unfortunately used the same overlay as I did for Christmas. I still need to find the time to make one, but not sure that will happen in the next couple of weeks or not. If so, I will be sure to update this post and provide the tutorial. 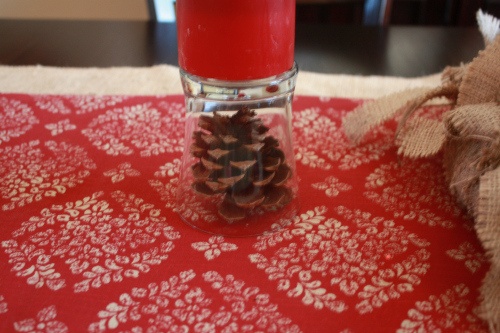 In the meantime, here is the Burlap Christmas Table Runner Tutorial. 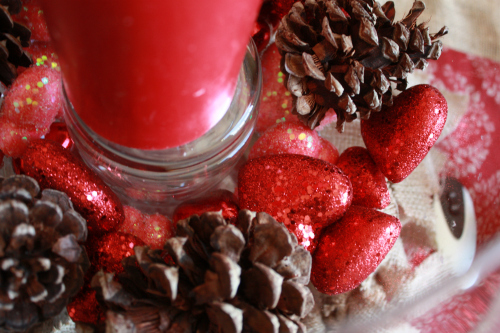 For the centerpiece, I combined the Hearts and the Pine Cones. 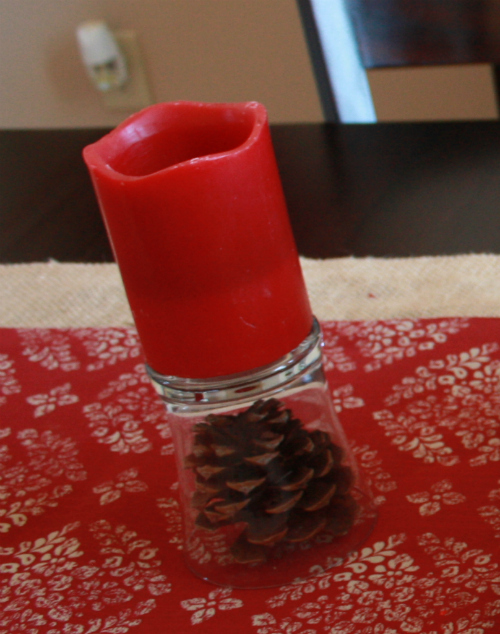 Additionally…how about these upside down drinking glasses with a pine cone with just a red candle on top? I love the overall completed look. 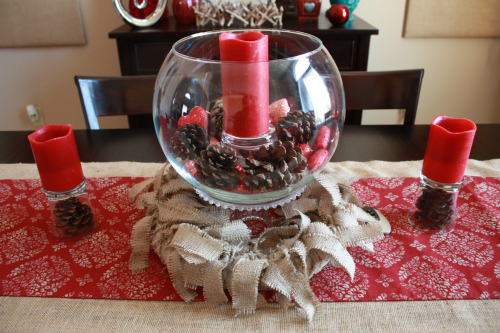 BTW…the centerpiece bowl has a Burlap Wreath around it that I created during Christmas. The secret to the combining the themes is to make sure that you have a few pieces of each that you are integrating into your design. 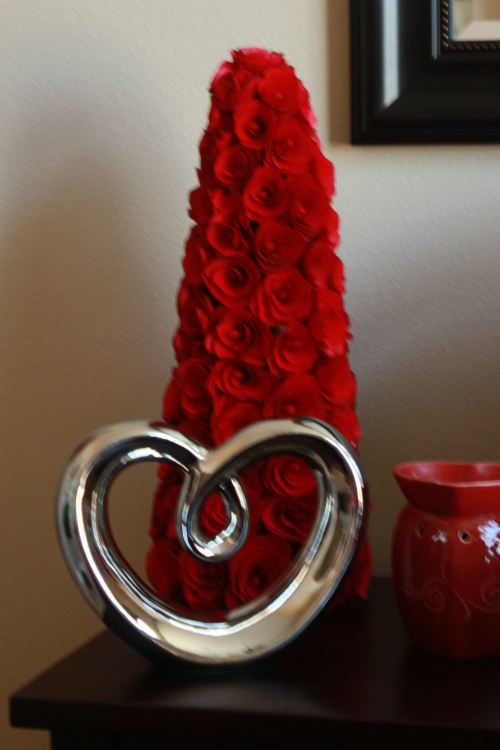 Whether its the silver, the winter pieces, burlap or the valentines pieces, as long as you have multiples, you can integrate them. A random piece does not make a theme. I hope to expand the design next year. In the meantime, I hope I was able to inspire you! 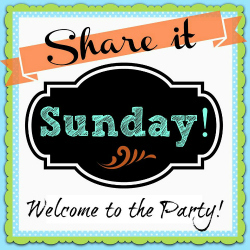 Have you linked up at Share it Sunday yet? Or do you just need some new Inspiration? 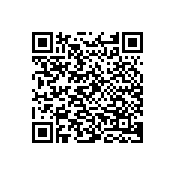 If so, peruse those posts linked up by other bloggers.